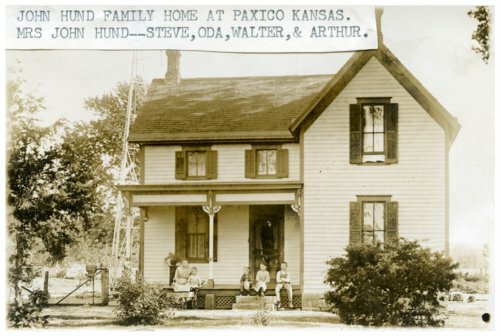 Photographs of John Hund, his wife, and children in Paxico, Kansas. The home, automobile, and draft animals owned by the family are included in the photographs. A man identified as Arthur Scott is seen tending to two harnessed horses on the farm.